Fresh Carpets from Steam Cleaning feel wonderful! Only Gallagher's Carpet Care can Clean your carpet this clean. You’ll Get The Most Sparkling Cleaned Carpets… Or It’s Free! And Why Shouldn’t You? First, you and I will evaluate your carpet’s needs. 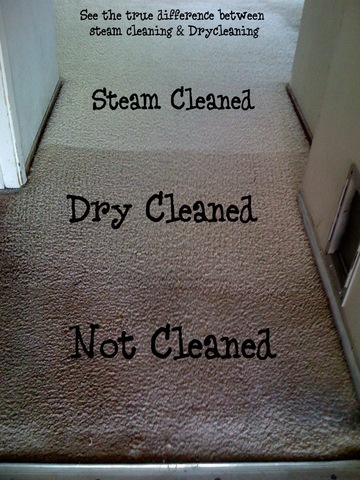 “Every Carpet Must Be Treated Differently.” We’ll decide what will be the best approach to fix your concern, and why! Best of all, you’ll know up front what we can and can’t do! Then you’ll decide (without pressure) if we should proceed. This way there are no surprises! What are the secrets to finding the absolute best companies out there? How can you tell if a company is truly honest, reliable and does high quality work? They all say that they are the best and that all their work is satisfaction guaranteed. Look for an Unconditional 100% money back guarantee in writing. “I don’t know we just are” won’t cut it. A company that is head-and-shoulders above the rest is quick to tell you the laundry list of benefits that you should receive by using their company, rather than their competitor. Ask how long they have been in business and what kind of on-going training they are involved in. (The best companies out there are always on the cutting edge of their industry — always trying to learn more). Have you ever heard someone say that they "have 21 years of experience,” but in reality they only have "one year's worth of experience, 21 times”? The general rule is, if you own something, you will take much better care it than some hireling. Look for little signs in the interview that will reveal some unspoken questions. If they show up late, the odds are, that is how they conduct on-going business. What is their attitude when you ask if you can have it all in writing? Ask if they are members if any trade organizations. Ask how they get most of their business. Ask if they like what they do. People that hate their jobs seldom do quality work. And people that love what they do tend to take pride in what they do. Ask about the last four jobs they did. Then ask if they would mind if you spoke to them. Ask for them to bring their insurance and business license and workers' compensation so that you could see it. Ask if they have any pictures of past jobs they can show you. It’s interesting that people that do superior work seem love to show off pictures of past jobs. It is almost as if they were showing off their grandkids! Don’t look for the best price out there, but for the best value. (If you can find someone to cut the cost, you will still have to pay for it, because he will then have to cut corners.) Put yourself in their position — How can you truly pour your heart and soul into a job that you are not making any profit on? Believe me — "you get what you pay for." All this might seem to be going a little bit overboard, but if you do all this homework now, you will end up getting straight-A's. If this is the type of cleaning you want. We invite you to try us out Right Now! You’ll be glad you did! First, you and I will evaluate your furniture’s needs. “Every Item Must Be Treated Differently.” Then, we’ll decide what will be the best approach, and why! Each manufacturer recommends a specialized cleaning method. Best of all, you’ll know up-front what we can and can’t do! This way, there’re no surprises! Here are some things to be concerned about with furniture fabrics. Furniture comes in various types of fabrics. It is important that we determine what type it is, This gives us the ability to clean it properly. Even if you don’t choose us. Please be sure when you get a quote, to make certain that the company is taking this under consideration! Here’s a final note: If they use the wrong cleaning agents, they will ruin the fibers and possibly the entire piece of furniture. Now For The First Time In Pet Decontamination History, You Can Quickly Get Your Pet Odor Concerns Completely Removed! In Less Than One Day — Or You Pay Nothing! For years, many pet owners and carpet cleaners attempted to remove this odor and stain concern, but with little or no success! It was frustrating, and something needed to be done. Since the success rate was low, most cleaners stayed away from offering this much needed service. At that time, the best that could be done was a topical treatment, but that only covered up and masked the odor for about 2 to 3 days. Then enzymes came along — they worked wonders, but unfortunately they were limited to light urine odor and stain concerns only! While they did a good job on light pet odor concerns, when a client needed heavy removal, it did little! Even if the cleaner was lucky and got most of the smell out, the stains still remained. While enzymes helped, the industry still needed more powerful products that not only removed the smell, but the stains that were left behind. What now? Have you noticed an increase in how many of your neighbors own pets? When that happened and the demand became greater, cleaners went to their cleaning supplier and asked, "what can be done?" The supplier turned to the manufacturers, but little progress was made. But two companies took a closer look! They figured the need for these products would have a future, They tested and retested each product in hundreds of situations, until they came up with several new products that really worked. Most cleaners didn’t have a clue that this was going on. Many cleaners had given up on this service due to the low success rate, but a few of us kept trying, and now that’s all changed. Now I’m able to offer you this new technology and you can judge for yourself , you don’t have to believe me, trust your own right judgment! I will remove your pet odor and stain concern in one day or less, or you don’t pay! Are you sick of urine stains? Do they look like eyesores? Or worse, how about the smells? If you feel they’re getting the best of you and you’re ready to eliminate these concerns forever. I invite you to call me right now. Can You Be Confident In Me? Yes! I think so, and here’s why. I’m constantly getting ongoing training, Even though I’ve taken on some of the toughest jobs in Sacramento, Roseville, Folsom and other counties, I don’t want to miss out on any new advantages that I can get for my clients. So I figure the more I know, the better I’m able to get you the results you want. That is the secret to my success! Okay, okay, I’m not perfect! (ask my wife!) I can’t fix everything! Therefore, on occasions I have to turn down some jobs! (very few) It’s not that I like doing this, but I’d rather tell someone who needs it, that carpet replacement would be their best option, Most people appreciate this, and later call me for other cleaning or refer me to a friend, I'd rather tell them that, than do the job and later, they wish they had replaced it! But don’t let this stop you from calling us. Many of our clients thought nothing could be done, but after an evaluation, we were able to help them fix their concerns for good. If after my evaluation I discover I can’t help you, I’ll offer some other options that can! Call and get the results you deserve. If you are a pet owner and are not dealing with this concern now, pass this page on to a friend. Don't trust just anyone to clean your wool and silk rugs. 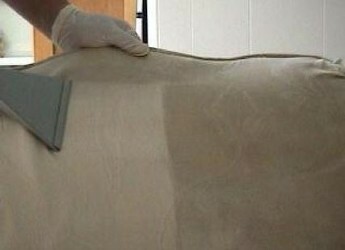 We at Gallagher's heve been cleaning fine rugs for more than 20 years. 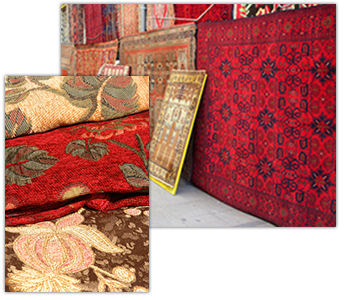 We are experienced in the most exotic textiles. We have a cleaning plant set up for cleaning and drying the most precious rugs. We also have the ability to clean your rugs in your oun home without them leaving the premises if you prefer. As with every thing else we do, we have a 100% Guarantee on all of our rug cleaning services. If we can't clean it to your expectation, we ask that you please not pay us. Having an expensive rug in your home takes some looking after. Once you lay it down it instantly enhances the area and you cannot stop admiring it's intricate patterns. It is as if they tell a different story each day. To keep it looking alive you need to have it cleaned by Oriental rug cleaning Sacramento. The benefits far outweigh the expense of decontaminating such an exotic rug, whether it is a woolen or silk thread or if you hang it up or walk over it. A clean rug will keep its luster for longer. It is a fact that with a daily vacuum, you could keep it looking pristine, but you do need to have it professionally cleaned regularly. The professionals are able to clean a rug far better than any home job can do. The reason is simple; they know their fabrics and can make a decision on what type of chemicals to use so that it does not damage the fibers. They do thorough inspections on every inch of the rug and then only will they determine if it should be steam cleaned or water soaked. Unless you are a person who knows the intricate aspects of rug cleansing, you should never attempt it at home. Your rug will then go through a rigorous cleaning routine which could entail specially manufactured machines to soak and clean expensive rugs. It could be that your rug might need compressed air and climate controlled conditions or it could need steam injectors to delicately soak up dirt and wash away stains. Once it has gone through its process, it will come out looking as if it has just been woven. Apart from sanitizing, they will also inspect the carpet for damages to the fibers. Once detected, they will try their utmost to match the damaged fibers and do some retouch and repair work to it. If you have noticed that there are some fibers missing, do not attempt to replace them yourself, as you will most likely spoil the pattern in the rug. Additionally, they can also repair or replace fringes on rugs. This is useful if you have a really old one that has only a few strands of fringe left. By replacing a fringe, the rug will instantly look new again. It does not matter how you got your rug, it might be a hundred-year-old heirloom which you just inherited, or you might have bought a new rug at a Navajo craft market, the fact of the matter is that you should never let it become dirty and stained if you can help it. If you are going to lay it down on the floor again, you might want to consider putting it out of the way of traffic. However, a well-woven rug is made to take some wear and tear so you should not be too overly concerned if people walk over it. Just ensure that you vacuum it every day. 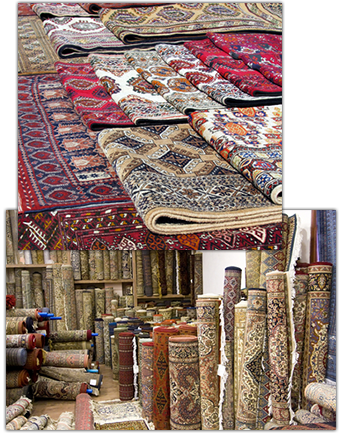 Contact a certified person at Oriental rug cleaning Sacramento today. By the way... We repair rugs also.